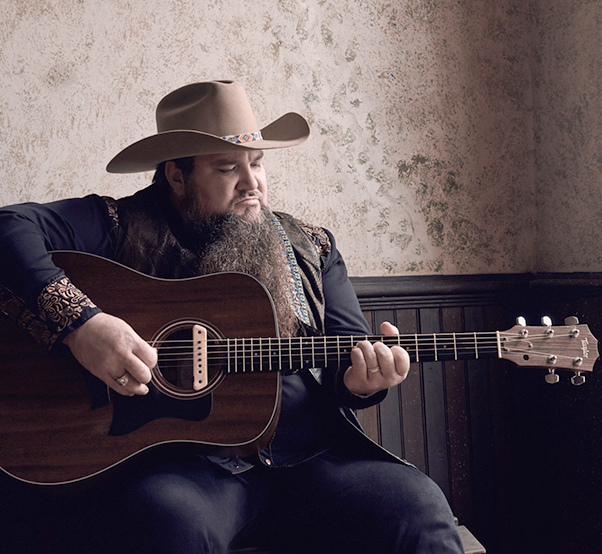 Soul-country singer/songwriter Sundance Head launches his tour of 10 U.S. Air Force installations on June 30. He will perform at Edwards Air Force Base, Calif., July 4. Sundance Head, winner of NBC’s “The Voice” season 11, is ready and eager to bring his original soul country music to Air Force audiences. As part of its initiative to bring quality entertainment to Airmen and their families, the Air Force Services Activity was just as eager to sign the Texas music artist to a 10-base tour. As part of the tour, Head will perform at Edwards Air Force Base, Calif., July 4. Head’s career has taken off after his victory on the singing competition. He toured with his on-air mentor and country music star Blake Shelton over the winter. In June, he won the Texas Regional Radio Association award for best new male vocalist and had his first No. 1 hit on the Texas charts with “13 Years,” a song he wrote for his wife, Misty; and he played the “mother church of country music,” the Grand Old Opry in Nashville, Tennessee, with Shelton. “We’re going to come into town, and, hopefully, we’re going to provide one of the best concerts they’ve ever seen. That’s always the goal. We’re just a three-piece band. We just play real music with real instruments. We don’t have anything looped, don’t have anything tracked. We just want to come play real music for a bunch of really amazing people. We can’t wait, so come see the show,” Head said. Head said he and bassist Drop Kick Dave Walters and drummer Big Joe Busa are thrilled to be playing for and meeting Airmen and their families. 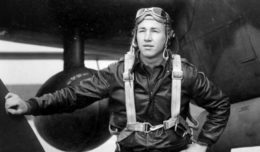 “Mostly, I just really want to meet our Airmen and shake their hands and thank them for everything that they’ve done for America. That’s the most important thing to me. It’s not about me — I understand that, and I want them to know that, too,” he said. “I felt like we had put in the hard work in Texas to make sure we had the stage presence and relatability to the audience that you really could only have perfected through hard work and many, many hours of singing in bars large enough for only 10-15 people, or sometimes only to my wife running sound,” he said. He is the type of entertainer AFSVA seeks. “We want to support rising stars while bringing quality entertainment to our Airmen and their families. These concerts give Airmen and their families the opportunity to attend a concert, at no charge to them, at their base,” White said. Head’s tour will include bases that are more remote and isolated, she added. “Airmen stationed there do not have the same opportunities for entertainment as those stationed in or near metropolitan areas. Another consideration in selecting bases for tour stops is logistics. The concerts should be grouped geographically and fit in with the entertainer’s concert schedule,” she said. The tour launches at Beale Air Force Base, Calif., June 30; and includes Vandenberg AFB, Calif., July 3; Edwards AFB, Calif., July 4; Hill AFB, Utah, Aug. 24; Mountain Home AFB, Idaho, Aug. 25; Malmstrom AFB, Mont., Aug. 27; Grand Forks AFB, N.D., Sept. 21; Minot AFB, N.D., Sept. 22; F.E. Warren AFB, Wyo., Sept. 24; and Altus AFB, Okla., Oct. 5. “We are hoping the Air Force tour will be a great experience for him and the installations, so we can send him out to more locations. We encourage bases to give the entertainers a look into our world, a glimpse into an Airman’s life and our different career fields. Once the artists experience it, they’re hooked on performing for the Air Force because the bases welcome them into the Air Force family,” White said. Other upcoming entertainment tours from AFSVA are with illusionists Mike Super and Jason Michael. Super is touring 18 locations July to August and Michael is touring September to October. Both provide family-friendly shows, which have been well-received at installations previously, White said.